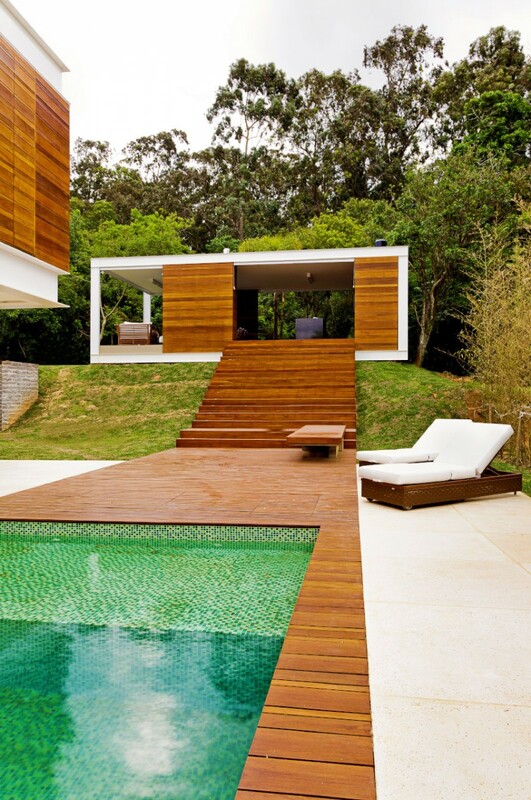 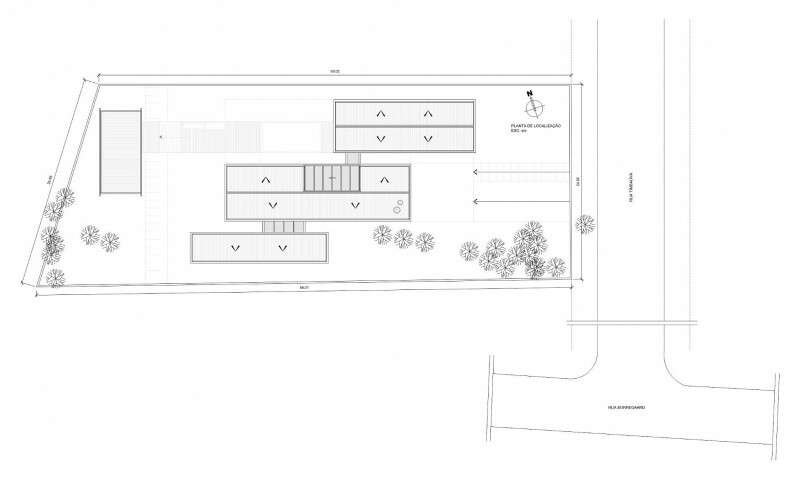 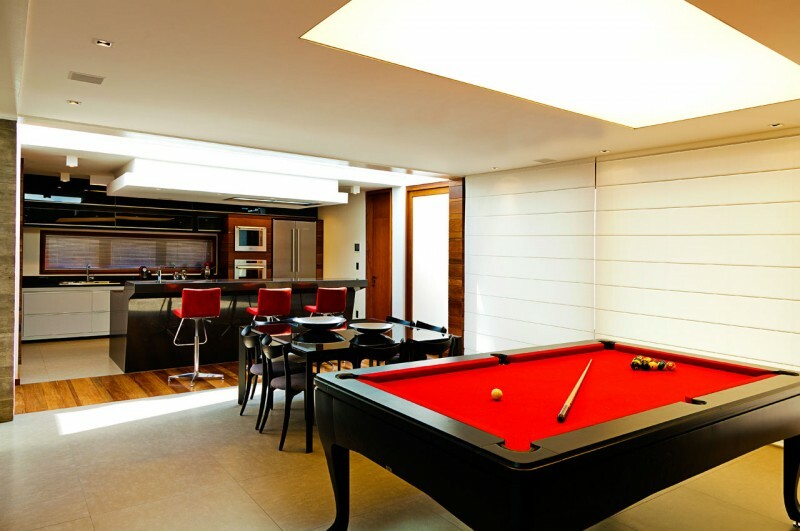 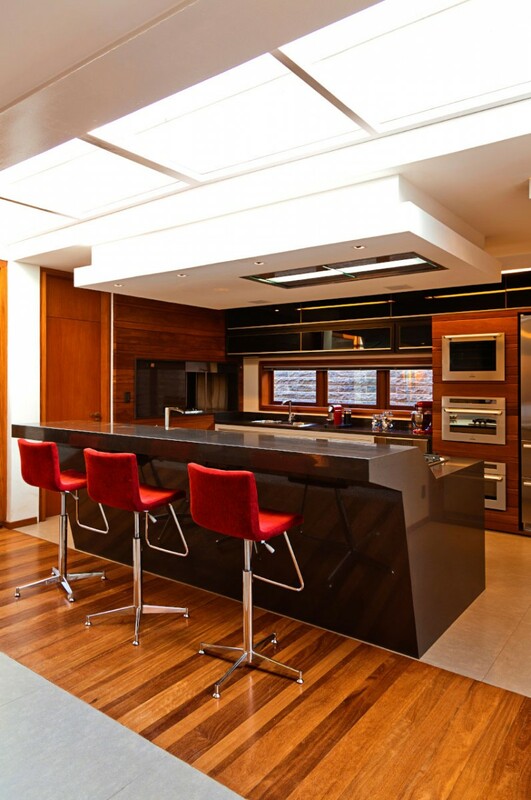 Brazilian studio 4D-Arquitetura has recently completed the Haack House project. 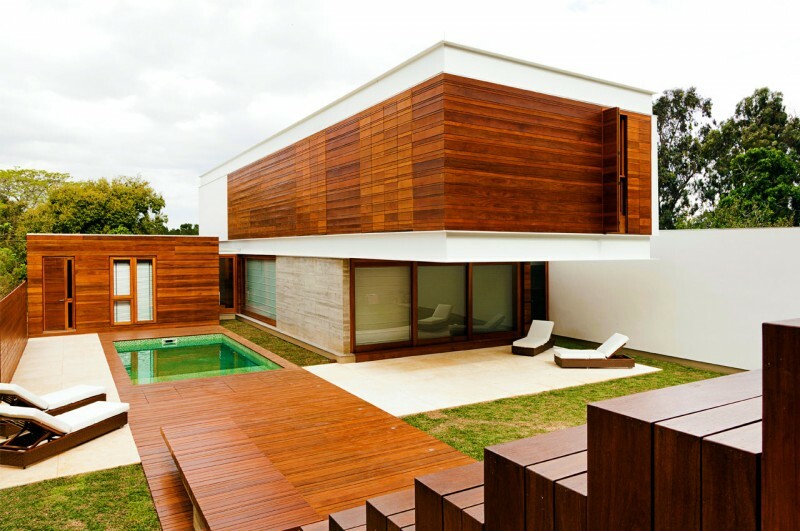 This 4,750 square foot two story contemporary house is located in Guaíba, a Brazilian city that lies on the opposite side of the Guaíba River from Porto Alegre in Rio Grande do Sul state. 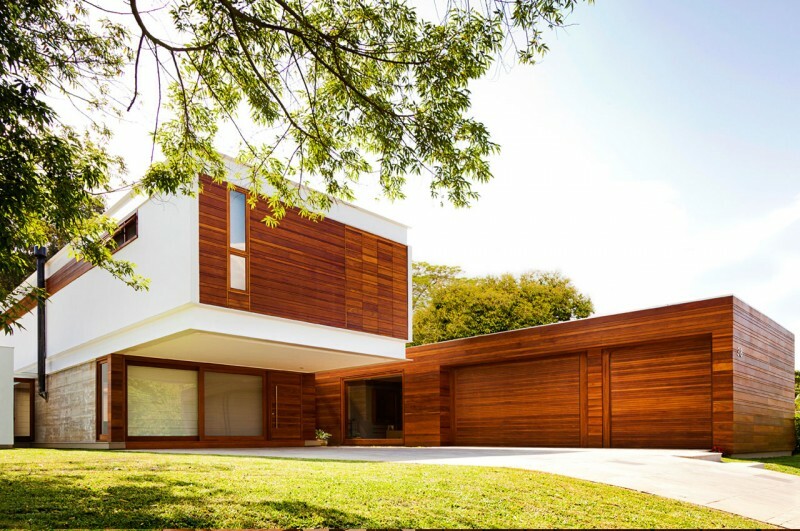 “This house sets off from others in its condominium by the design on straight lines and by the pure volume composition, a very well-known characteristic of the contemporary architecture. 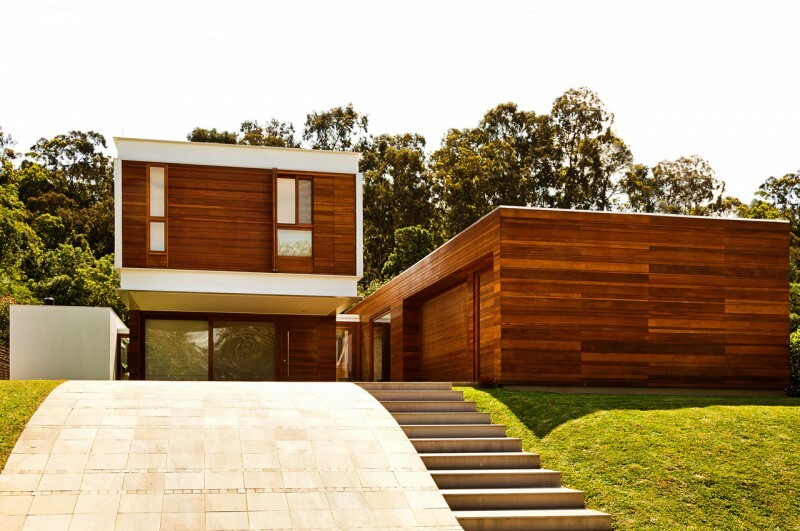 Located in a gated community, where walls and fences are not allowed, this house had the design developed in three parallel horizontal bars that protects terrain sides, granting privacy to its residents. 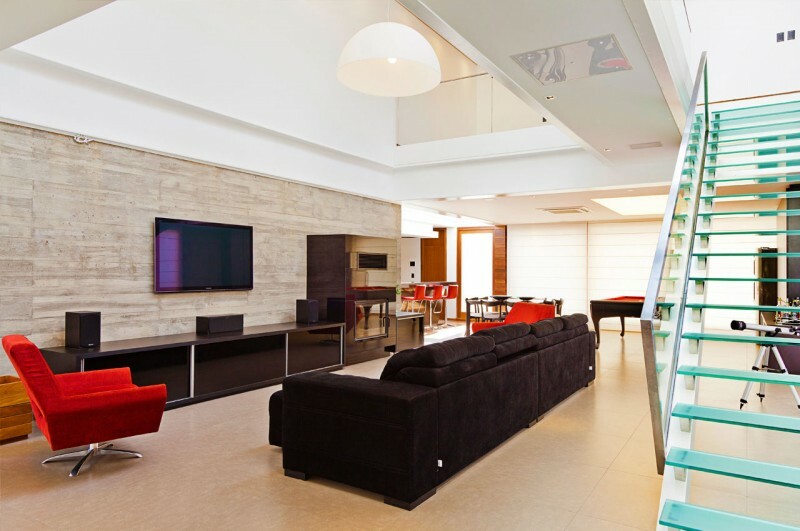 The central block has two floors: on the ground floor are the social areas at the center – living, dinner and leisure. 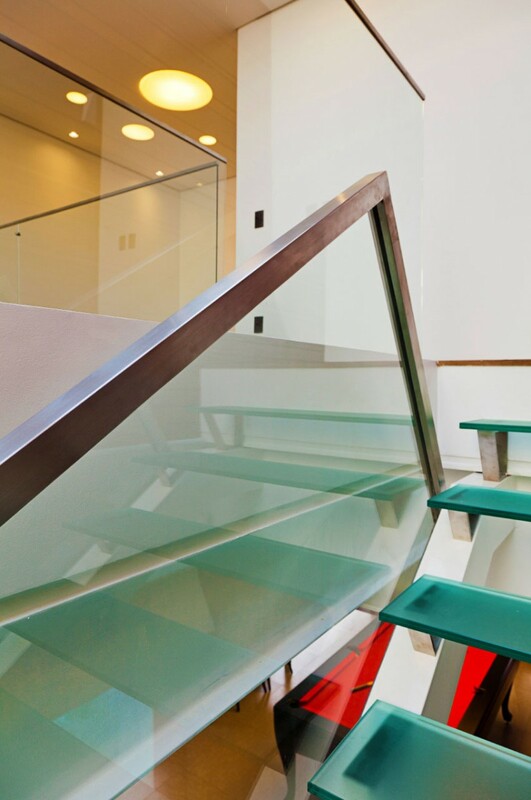 At second floor, with access by a linear loose ladder, is located the private area. 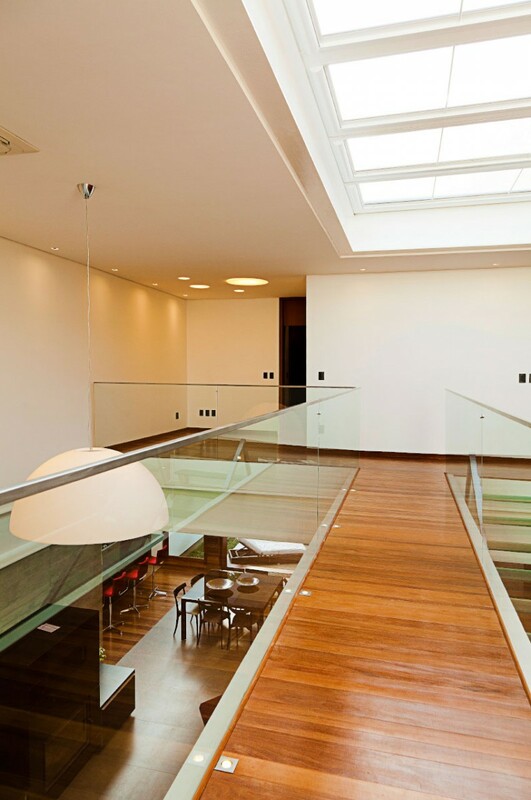 A big mezzanine makes the two floor integration, giving the space higher amplitude. 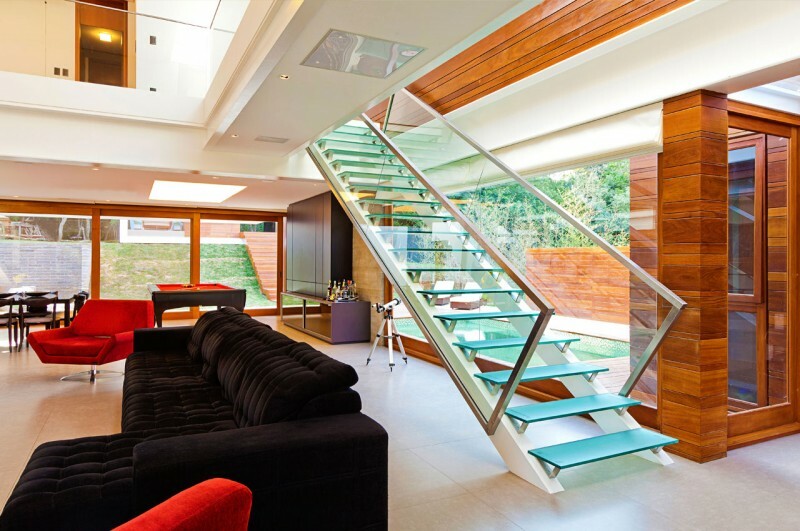 A footbridge crosses the mezzanine, leading to the master bedroom, while the other rooms are on the other end of the floor. 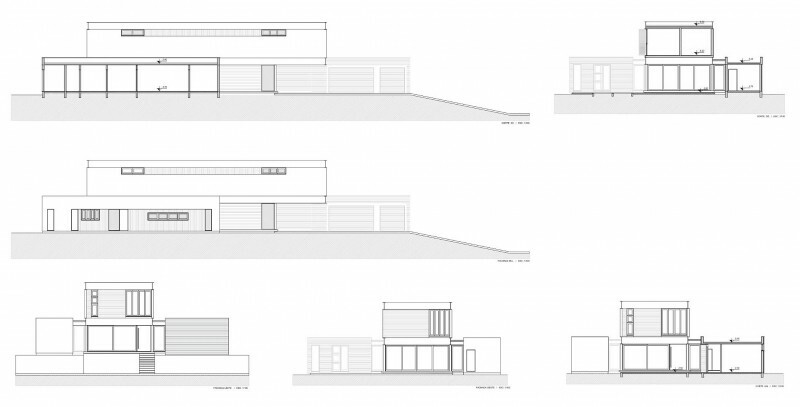 The house structure was built on metal girders and pillars with two large concrete plans that serve as support. 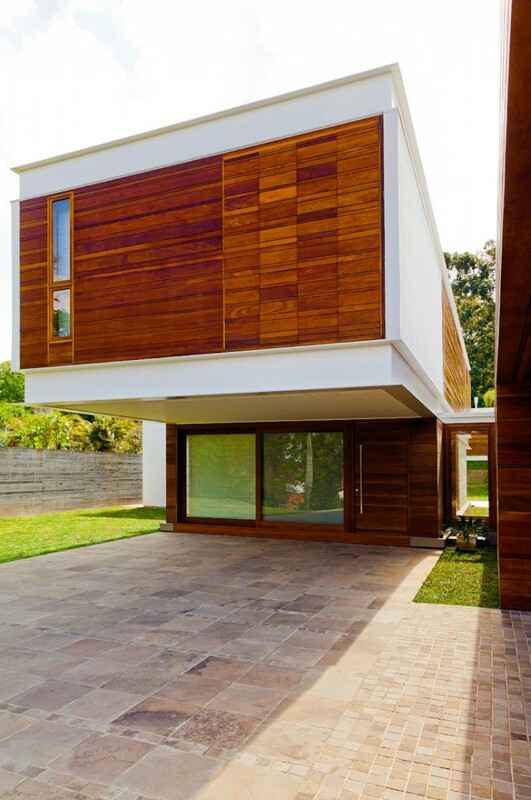 This solution allowed free internal spaces and large swings at the front and back of the house, creating two covered open livings.